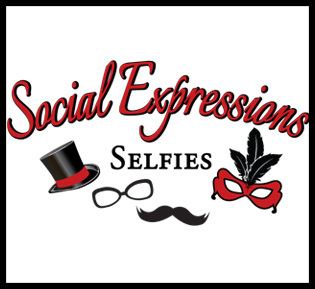 Book Social Expressions Selfies for your holiday party early and save! Raise money at your wedding or fundraising event with Social Expressions Selfies! Whether you're hosting a charity event or throwing a holiday party, you want to give your guests everything they need to have a night to remember. Let them capture memories that will last a lifetime with a photo booth rented from Social Expressions Selfies. We have all the accoutrements you need to create a lively selfie station at your next Saint Cloud happening. Call 320-310-7124 now to rent your photo booth. The photo booth from Social Expressions Selfies is superb for any event, from holiday parties and business events to birthdays and weddings. If you've been searching for a photographer for your graduation, charity event, trade show, prom, holiday party or business meeting, look no further than our photo booth rental company. We have multiple backdrops and props to choose from, as well as customized frame options and unlimited 4X6 photos! Social Expressions Selfies uses high-quality camera equipment and a top-of-the-line dye-sublimation printer to give you crystal clear prints. Hurry and book your photo booth before someone else does! We provide Saint Cloud partygoers with affordable photographic mementos! We offer our selfie station for $600 for a minimum of two hours. All of our packages include the photo booth, an attendant, social media sharing, a backdrop and more! Rent a photo booth for your next party, trade show or other event by calling Social Expressions Selfies at 320-310-7124.